That thought crossed my mind last spring, when I overheard IMEX attendees discussing the virtues of the former Soviet bloc country as a meeting destination. So how did Estonia become the talk of the IMEX shuttle bus? Estonia, a country that is slightly smaller than New Hampshire and Vermont combined, is blanketed in free wireless Internet access. 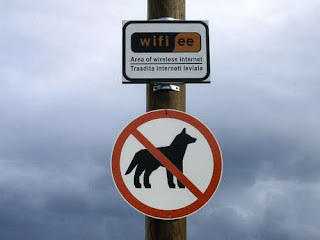 Much of that is due to the work of Veljo Haamer, who founded the nonprofit association WiFi.ee to promote free Wi-Fi access after visiting free Wi-Fi-enabled Bryant Park in New York City. The successful wiring of Estonia has put it in the digital vanguard — it was the first country to offer Internet voting to its citizens and gave the world Skype. And it’s made it a growing hotspot for IT-related meetings. Wi-Fi is not just an issue at tech industry conferences, of course. Increasingly, free Wi-Fi is seen by attendees as a necessity, not a frill. But among the biggest challenges reported by the meeting planners surveyed by Convene for our September issue, was the “atrocious” cost of providing Internet services to attendees. Only 37 percent of respondents said that their organizations provided free Wi-Fi to their attendees at their meetings. The question of who pays for Internet access is a thorny one. But Estonia offers one clear lesson: Free public Wi-Fi is possible.